The NZ Superannuation Fund (NZS) has recovered most of the heavy losses sustained during a horror December for global equities. An NZS spokesperson said the fund has climbed back to about $39 billion by late January after shedding close to $2 billion in the last month of 2018. According to the just-published NZS monthly performance figures, the global equities-heavy fund fell almost 5 per cent in December, pushing its annual performance into the red (-2.18 per cent) for the first time in years. However, the strong market recovery in January boosted the NZS – which has about 65 per cent invested in a mainly passive global shares portfolio – almost back to par while the fund also took advantage of the volatility to bag some bargains, the spokesperson said. In October last year Matt Whineray, NZS chief, warned the fund would likely experience large swings in value as volatility returned to markets. “The major risk to the Fund is not that it will experience significant volatility in returns – we know that it will. The volatility may not be so dramatic (and the recovery so quick) as in the Global Financial Crisis. But the major risk is the same: that we lose our nerve, close down our investment positions and lock in our losses,” Whineray says in the NZS annual report. The NZS spokesperson said the almost $2 billion fall recorded in December provided a vivid example of the potential scale of nominal short-term losses as the fund grows. Despite the December stumble the NZS remains well ahead of both its benchmark measures – the passive reference portfolio and NZ Treasury Bill returns – over all time periods. 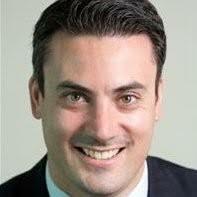 Last week, the NZS also filled another of its upper echelon vacancies after promoting former strategic tilting portfolio manager, Sam Porath, to the head of active NZ equities. Porath replaces Brian Bourdôt who resigned last October to pursue a career in aviation. NZS manages about $1.8 billion in local shares spread across both passive and active portfolios including about $700 million in external mandates split between Devon Funds Management and Mint Asset Management. It is understood the NZS in-house active NZ equities portfolio is about $100 million. The fund also owns about 20 per cent of the NZX-listed Metlifecare. “The Fund has key holdings of more than NZD100 million in each of Fisher & Paykel Healthcare, Spark, Auckland International Airport, Meridian Energy and a2 Milk Co,” an NZS statement says. Prior to joining NZS in 2013 Porath held consulting roles with Russell Investments in both Australia and NZ. He career also included stints with Schroders Investment Management in London as well as ANZ and Fletcher Building. Porath reports to NZS head of direct investments, Will Goodwin. His appointment follows a string of senior NZS staff changes over the past year including: chief executive, Adrian Orr; head of investments, Fiona Mackenzie; investment analysis manager, Roland Winn; and head of investment operations, Nikki Bell. While most of the vacancies have been filled by internal candidates, last December the NZS named former chief investment strategist of the Australian Future Fund, Stephen Gilmore, as CIO – replacing Whineray after he assumed the top job in June 2018. The fund would hire a new strategic tilting portfolio manager to replace Porath, the NZS spokesperson said. At least five other roles are up for grabs at the NZS including the newly-created positions of enterprise risk manager, senior legal counsel and senior talent acquisition adviser. The fund currently employs about 130 people and is poised – after a static 12-month period – to lift its overall headcount this year.